My Mixed Emotions on Studying Abroad. I begin a lot of my more personal blog posts in a similar way... usually by saying "I don't even know where to begin." Well, in the case of this post, this couldn't be more true. I have so much to say on this topic that I literally feel as though I'm about to burst, but I have no idea at all where to start. I was studying abroad in France for the past four weeks, as apart of a summer language immersion program. I originally applied to this program over a year ago. I chose to do so for a few reasons. First and foremost, studying abroad is hugely popular at my school. At my college, it's the norm to study abroad, whether for a whole semester or for a short-term summer trip, which is what I chose to do. Thanks to a generous endowment program, my college is able to provide lots of amazing study abroad options, and costs are lower than at other universities. There are also scholarships available for each study abroad program to help with further reducing the costs, and I applied for one for my specific program and was so blessed to receive it! I even got to meet my sweet scholarship donor at a Donor's Luncheon at school this past April. I am a communications major, but I am also a double-minor in both sociology and French. I knew that applying to French language immersion would allow me to finish my French minor in a unique and incredible setting that was so different from the classroom at my university. To be quite honest, the language department at my college isn't the strongest, and with each French class that I took after I transferred schools I started enjoying it less and less. I genuinely hoped that going abroad might re-instill my love for the language. My junior year of college was absolutely the busiest year of not only my college career, but also my life in general. I was on-the-go about 110% of the time. Over the past two semesters I did enjoy blogging from time to time about what I was involved in at school, but I'll give you a quick recap: full class schedule (including some of the most difficult classes in my major each semester), being in a sorority and holding a position, holding an executive position in a club on campus, a radio internship, babysitting part-time, blogging, getting into three honor societies, keeping high enough grades to be on Dean's List both semesters, AND making time to have some incredible memories with my sweet friends! There are probably more things that I did as well that I'm forgetting. My point is that since I had such a busy school year, it never really sank it for me that I was going to be studying abroad. Sometimes people at school would ask me about it, and I would just brush off the upcoming trip as "Oh yes! That! I'll be thinking about that more after Finals Week..."
But the conclusion of Finals Week just meant the move back home to Maine for the summer (which is always stressful), and then a mere two days after getting home to Maine, I left for the internship of a lifetime in Kentucky with the Fraternity Communications Association. Now that experience really did change my life for the better, and was as close to perfect as it could be, but it was a complete whirlwind, and when I got home, I truly did need a couple of weeks to decompress from the end of school and everything that had happened there. Again, I never really thought about France. Then I hopped back into my summer retail job, and my hours started to increase as the weather got warmer (and France got closer). Then before I knew it, it was my last day at work before France, and just a few days later my parents were dropping me off at the airport for a direct flight to Paris. WHAT. To fill everyone in again, I was originally studying in Tours, France, at a language school there and living with a host family. I was supposed to be there for the full four weeks. But for a variety of reasons (which I went into more detail about in this post), a lot of things in Tours were not really going as they should have been, so halfway through my time in France my university arranged for me to switch to a different immersion program. My new program was located in Nice, in the very southern part of France. I was also living with a host family and going to language immersion classes. On the surface, a lot about Nice was better. The social environment of my new language school was MUCH better, and my new host family was a better fit. Those were the main two reasons that I switched programs, as there were severe issues with both in Tours. But even though there was so much to be thankful for here in Nice, I still definitely didn't have a "perfect" or "magical" experience. Sure, there were happy moments (most of which came during the afternoons that I spent getting out the city and exploring on day trips), but with each passing day, I kept realizing more and more how both little prepared I felt for the trip, and how much culture shock was affecting me. My physical health also started to become a problem at the end of the trip. In regards to physical health, I didn't feel prepared to deal with flare-ups of not only my migraines, but also my allergies (which come out in the form of uncomfortable hives, and haven't affected me in at least a couple of years), and even a low fever near the end of my trip. It's hard enough to deal with my headaches (or other sicknesses) when I'm away and at school, but at least by this year I have built up a support system at college. When you're on the other side of the world in a country that doesn't speak your language, you have no one. I wasn't prepared for that. During my last couple days in Nice, I was literally so sick that I had lost my appetite and was too weak to do much of anything. It was terrible. I also seemed to have gotten attacked by some sort of bug while I was in Nice. At first that I thought it was just bad mosquito bites (since my bedroom always seemed to have mosquitos in it), but after I continued to get more and more bites, with some bites even causing hives/allergic reactions, I had a feeling something wasn't right. I visited a local urgent care center the day after I came home, and was told that they are most likely either from bed bugs, fleas, or some other sort of French parasite type bug. They are very itchy and painful, and I literally have bug bites on most parts of my body right now. My parents also had to take away and bag all of my luggage as soon as I came home (as a precaution in case whatever bugs were biting me came home with my stuff), but because of that I haven't even been able to unpack at all. I also don't think that I went abroad fully prepared for the stress of living for a month in a country where you don't speak the language, and how demanding that actually is. It's one thing to be a tourist, but another to live there as a student. Yes, I was going to French classes on weekdays, but I quickly learned when I arrived here that even though I had been learning French since middle school, I am far from fluent. It is simply emotionally exhausting to just be thrown into life in another family, in a new city, in a new country, with a new language. A complete definition of the word "overwhelming." I hated not being able to do much fashion blogging while in France. Coming to France really did put things in perspective for me about how much time I spend every day on social media and my blog. I didn't have a data plan on my phone while in France, and wifi at both of my host family's houses was a little sketchy, so I was definitely online a lot less then when I'm back in the US. And that gave me time to think a lot about blogging (more thoughts on that to come). But goodness- did I miss actually doing it! I did write some posts while I was here, but most weren't fashion related, which is my typical content. I was never really able to find anyone here to take my blog pictures for me (which is, you know, a big part of being a fashion blogger), and with the extreme heat and my 500000 bug bites, most days I just threw on the least amount of clothing that I could, ran my fingers through my hair, and called it good. So physical beauty-wise I wasn't even really feeling like myself, much less wanting blog photos even if I had found a photographer here in Nice. Not being able to do what I love really made me feel like a part of me was missing. Yet at the same time, I felt very narcissistic and selfish for feeling that way. Here I am, in one of the most beautiful places in Europe (and possibly the world), and one of the reasons that I'm bummed is because I don't feel well enough to get dressed up and have someone take pictures of me for my blog.... something about that just seemed wrong. Yet working on fashion posts from my blog is exactly what I do several times a week at home and at school! It's a part of my routine. And I missed it. So I had a lot of conflicting guilty feelings about my blog while abroad. Forgive me for being so blunt and brutally honest here, I am just trying to give you all a true glimpse into my head and how I was feeling. A lot of friends and family back home kept commenting and saying things along the lines of "So Jealous!" or "You look like you're having the time of your life!" on the photos and updates that I posted while abroad, which I felt like I didn't know how to respond to. I think that many people understood that my first experience in Tours wasn't great for a variety of reasons, but they just assumed that when I came to Nice, it would be the 100% magical stereotypical study abroad experience that everyone has. (Maybe I even assumed that too.) Nice was definitely still a better experience that my first two weeks in Tours. But I guess the point of this very long and rambling blog post is just me trying to say that truly, nothing is perfect. And before you commit to doing something large, you need to make sure that you're strong enough to do it. I don't know if I was strong enough to study abroad. Did I survive it? Yes. But did I thrive while doing it? I hope so... but I guess I'm not sure. My favorite memories from Nice were from the days that I was feeling well and was able to go on some fun day trips out of the city with some of the new friends that I had made! I have already blogged about my day trip on the 4th of July to St. Tropez, and soon I'll share pictures from my day trips to Monaco and Northern Italy. A couple other fond memories that I have were going to see a movie in a local theatre (in French! And I understood most of it! ), watching the evening news every night with my Nice host family, and striking up a conversation with a stranger in the train station in Monaco and talking with her in French for at least 10 minutes! I also brought a new daily bible reading plan with me that I started when I arrived in France, and I am so glad that I did. To be honest, as ashamed as I am to admit, for awhile I had gotten out of the habit of reading the bible every day. But this experience could not have been a better time for me to get back into scripture. It has encouraged me so much on many days when I needed it! Re-reading the story of Joseph in the book of Genesis was especially comforting to me while here. I would definitely recommend that everyone does a bible reading plan- it has definitely been helping me and I can't wait to continue it now that I'm home! I also can't wait to get back to my blog's more regular content now that I'm back. 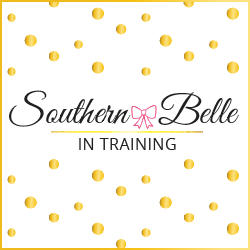 My summer post series, Southern Belle in the 'Bunk, will also return soon! Studying abroad is such a great experience, but I completely understand how you feel! My four months in Spain were hard yet fun. I grew so much in those short 4 months, and it seems like you learned a lot as well! I'm still realizing how much I learned, and it has been 7 months since I returned! One day you'll look back and realize that even though it was stressful at times, it was an important step to take! It was brave to write this post, I've had a hard time articulating my feelings on studying abroad so this is so great. Maybe I'll finally be able to articulate my semester! I understand how you feel. Studying abroad is portrayed like the most perfect thing a student can experience, but it's far from it. I studied abroad for 10 months in Colorado and while I was lucky that it turned out to be one of the most awesome experiences of my life, I had a lot of lows, especially at the beginning. It took me 2 months to feel fully like myself after getting there. You were there for a month only, so you barely had any time to accommodate. Considering that the first half of your study abroad was less than ideal and that you had to move across the country for the remaining 2 weeks, topped with everything you've mentioned about your health, the culture and language shock, etc., I'm sure you felt very stressed and that didn't let you enjoy as much as you thought you would. I love how you shared this post Annaliese! I do agree that study abroad is made out to be a magical, perfect thing and I love how you shared your honest opinion of it! I have never studied abroad and have always seen advertisement that it's glamorous because you are exploring a new culture, city...I never knew some of the low's. I have travelled a lot (I travel every 4 weeks) and it is always exciting, but after living out of a suitcase it gets boring and tiresome. I think in the end it's all about perspective. If you keep seeing things positive and focus on that, it gets better. Thank you for sharing! I never studied abroad, but if I did, I'm sure it wouldn't have been the magical experience everyone talks about. I'm an extremely picky eater too. I can't wait to see more posts now. I never really thought of these things when thinking of studying abroad. You definitely put perspective on things. I always thought that all the traveling would have no down sides. Thanks for the post! My goodness what an experience. Thank you for sharing the "other" side of your trip. I feel that lots of students can relate to these feelings and struggles, but not many people share them. I hope you are recovering well at home from everything mental, physical, and such that you went through. I do look forward to seeing your St Tropez pictures though. I loved hearing this side of studying abroad. I have never (and will never) study abroad, but a lot of my sisters do and they look like they're having a great time. I have been terrified of studying abroad for these reasons, I just think I'm too much of a home-body to actually attempt to fully immerse myself in another culture. I'm so thankful that you made it home safely & seemed to have learned so much from your trip! You seem to have gained so much wisdom while you were gone! Can't wait to see what you've got coming in the future! I think it is wonderful that you shared both aspects of your study abroad experience (the good and the bad). I always wanted to study abroad in college but due to my introverted nature and difficulty making new friends stayed away from it knowing I wouldn't have that "magical experience". I think study abroad is an amazing opportunity and can be a wonderful life changing experience for so many people but I don't necessarily think it is the ideal way to immerse yourself into a new culture for everybody. I hope you are feeling better and you are able to unpack soon. I hope you at least gained to knowledge and insight from the trip even if it wasn't as magical as you initially hoped. First, thank you so much for writing such a personal and honest post! I think so many people really hype up studying abroad and overcompensate, saying that studying abroad isn't hard or trying or stressful. Although I haven't studied abroad yet, my parents lead trips to different countries annually, so I hear stories from them about the stress from students and how people forget what it takes to live in what seems like another world, so far away from home! To me, I've experienced something similar. I moved almost 5 hours away for college and barely saw my family and friends. I was miserable. I wasn't very social - I was lucky my roommate took me under her wing and "put me in" her friend group. I didn't join any clubs. Oh - and sorta like you mentioned, the food at my school was so weird! On Mondays it was all vegan in the dining hall...like, what? #help I knew when transferring that close to home was the most important factor for me. Anyyyways since I'm sorta rambling now, I really admire your bravery for sharing this post and talking about the reality of being away from home. I could totally understand how this could be a positive, yet challenging experience. I would have such a hard time living with a different family and eating different food! I've never studied abroad but would need at least 3 close friends/family should I ever travel overseas! Welcome home hun! The one thing that I regret about college was not studying abroad, so I think it's wonderful that you took this trip and will never have to worry about that "What if?!" I am so happy that you're back home now, and I hope that you are feeling like yourself again very soon! I can definitely imagine that the food issue would really be hard. I'm so so so picky and I think that would be the biggest thing for me. At least you made it all the way through, even though it wasn't a 100% positive experience (is anything though? ), I'm sure you'll look back on it and be glad you did it! Welcome back! I had a great study abroad experience and I'm so glad I did it. That being said, it was difficult at times. I was homesick sometimes and I studied at a school that was really challenging academically. Looking back the time still made me stronger and I really did love 99.99% of my time there. I think it's great that you did it. Wondering, "What if" is always so difficult. I always like having the answer. I am SO sorry that you had that experience. I have always been so scared to study abroad because I get homesick for absolutely everything. I seriously wish you could have had a better experience and can't believe you got sick and got some kind of rash! That better go away soon and hopefully it wasn't the parasite or anything because that sounds scary. At least you did it though. And you lasted the full four weeks! I wouldn't have been able to given the conditions, so I applaud you for that and am so proud of you!! Man, I truly can't imagine. I always see everyone raving about studying abroad and always wishing I could have done it because of that...but I have never seen someone talk about the not so awesome parts of studying abroad so I am really glad that you addressed them. Your experience definitely seems like a rough one but you toughed it out like a champ! Glad you're back home and back to blogging your little heart out. You're so brave for sharing this and I'm so glad you're HOME (because I missed you okay). Even if it wasn't perfect you still had an amazing and life changing experience. I'm so proud of you! You are so brave! I always wanted to study abroad, but am such a homebody. I get homesick over night! I am sorry your experience wasn't everything and more, but it is something you will remember forever and never look back and think "what if?". Loved reading this - I was hoping your trip was going well for you and I hate to hear about all the downsides you had while in France. (But still very happy to read about all the great experiences you had as well!) I hope home is going well for you and those bug bites are going away real fast!! If it helps I dealt with bed bugs two months ago and hot, hot showers plus hydrocortisone was a huge relief for me. I never studied abroad and I wish I would've! I have visited Europe and I think it would've been so cool to go to school there. I would hate not being able to blog! Like who would take my pics?! haha Thank you for sharing! Studying abroad is such an amazing experience that I wish every college student had the opportunity to go on at least once. From reading, it sounds like you honestly had a really great time in France. I'm so sad I never got the chance to study abroad. Even though your trip wasn't "magical" I'm still jealous! Although it wasn't perfect by any means it sounds like you really did learn a lot and grow from the experience! You never hear much about the "real" experiences of studying abroad and maybe anyone reading this will get the chance to understand that it's not going to be perfect, but will help with finding yourself a little bit more and gaining some new experiences. First off, the fact that you travel abroad is amazing. I'm such a home body and the thought of leaving home for an extended period of time freaks me out. Secondly, I'm glad you're open and honest about this experience. So many people make it sound perfect and wonderful! Glad you can keep it "real"! I never got the opportunity to study abroad, but I can only imagine how much of a culture shock it would be. It's so unfortunate that your physical health took a toll, but girl you are so brave! I'm still not sure I would be able to up and leave the country and live with a new family, so props for you for being able to do that. It really looks like a lot of positive things came out of this trip. Second, BUMMER about the bug bites!!! Is the remedy just to put on an ointment and let them go away by themself? Third, food is DEFINITELY an adjustment. Besides whole cultlures being entirely different abroad, the food - and eating times - is huge. People have dinner no earlier than 10 pm in Spain, and nowadays, I like to head to BED by then! haha! Huge, huge adjustments. I ended up being so happy I did a six week program, though, instead of a full semester abroad for that reason. I loved my experience so much, but I was so homesick by the end that I couldn't have imagined a stay twice that length. I love reading about studying abroad! I'm so sorry about the bug bites and the issues in Tours! I am glad that you got to experience some good things while abroad, your day trips sound pretty wonderful :) Really admiring the fact that you were 100% honest about every aspect of your experience! It's sort of off-putting when people sugar coat every single detail! Amazing post! France Study Abroad Trip: Monaco (by night). My Must-haves for the Retail Associate. France Study Abroad Trip: Chateau Chaumont Visit. Southern Belle in the 'Bunk: True Colors. A Day in St. Tropez. Gossip Girl Fashion Inspiration: Blair or Serena?